“You killed all of them.” NBC has released a new sneak peek from the upcoming final season of Grimm. The supernatural drama stars David Giuntoli as Nick Burkhardt, a Portland-based homicide detective who battles creatures inspired by Grimm’s Fairy Tales. Russell Hornsby, Silas Weir Mitchell, Reggie Lee, Sasha Roiz, Bree Turner, and Claire Coffee also star. The sixth and final season of Grimm premieres on NBC on January 6th at 8 p.m. ET/PT. always the same plot…Renard vs Nick until the end of the times? come on they´re not Lex Luthor and Superman!! they are two great characters turned in freaks thanks the lazy writting and always with the same stupid plot. THANK YOU!! your the only one that can see why this show has tanked.!! always the same BS. 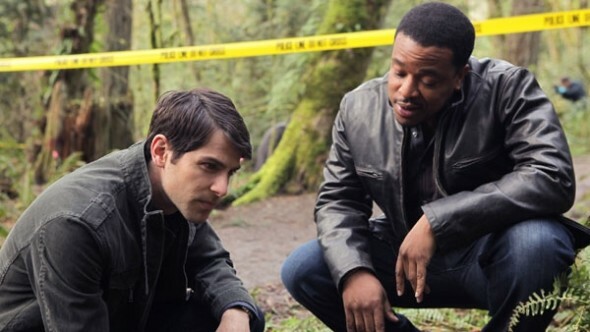 it should be called, CSI GRIMM.! !